* Guide Hair from 10-16in needs 2-3 bundles for a full head; 18-22in needs 3-4 bundles; over 22in needs a minimium of 4 bundles. The hair was great. It was soft and thick. I just love it. The price was a bonus. The hair came very fast. I love it. I thought it was going to be thicker though. But it was thick enough. Maybe it's just me. Communication was perfect. This hair is beyond beautiful !! It was sooooo soft when I got it . I conditioned it and bleached it when it first arrived and it got a little hard , but all I did was put some olive oil on it and it went back to normal . A couple days later I dyed it blue and theends turned green , but I still fell in love with the end result . This hair is the best i've received from Aliexpress . It's definitely worth the money ! I'm completely in love with my hair . It's my first time ordering from Barbie Hair products and I'm gonna order again ? 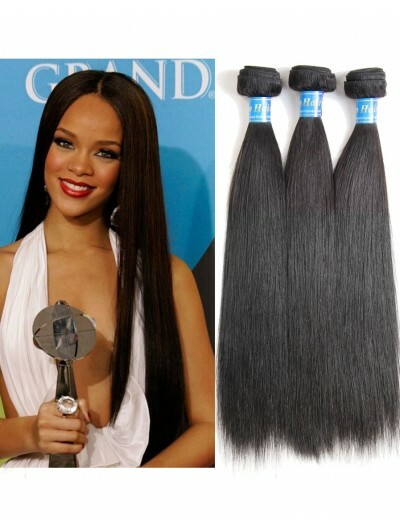 my inches are true to size soft with no smell and full .. I'll leave additional feedback when I install it.